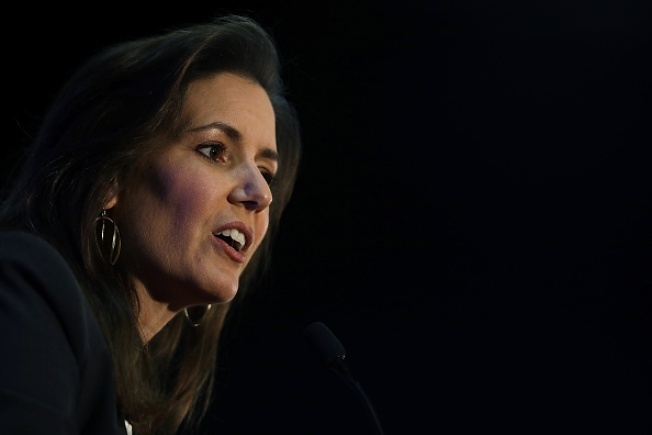 President Donald Trump accused Oakland Mayor Libby Schaaf of obstruction of justice for warning the immigrant community about impending ICE raids during unplanned remarks at a roundtable in White Sulphur Springs, West Virginia Thursday. After referring to sanctuary cities such as Oakland as "the worst," he also called undocumented immigrants "bad people." "How about the mayor of Oakland, where she tells 1,000 people to get going, law enforcement's coming to get you," Trump said. "This was all planned, and many of them scattered. It was pretty much a failure. "To me that's obstruction of justice, and something should happen there, and it hasn't and I don't know why it hasn't," he added. "But something should happen there." In recent months Schaaf has repeatedly defended her Feb. 24 decision to notify her constituents of a mass sweep planned by federal immigration agents that ended with the apprehension of more than 200 people in Northern California. It was later revealed that more than 1,100 had been targeted. Schaaf's office issued a statement today in response to Trump's remarks. "Mayor Schaaf stood up for her constituents and their shared values," Schaaf's spokesman Justin Berton said. "Sharing information about rights, responsibilities and resources is legal and appropriate."